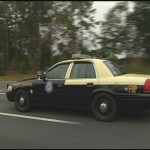 Less than a month after state lawmakers passed a ban on texting and driving, the Florida Highway Patrol is gearing up for a deadly summer focusing on distracted drivers. There are more fatal accidents during the 100 days between Memorial Day and Labor Day than any other time of the year. Through commercials the National Transportation Safety Board and AT&T continue to step up “It Can Wait”; a campaign against texting and driving. The people in the commercials talk about how texting while driving dramatically changed their lives. This past legislative session, lawmakers approved Florida’s first ever ban on texting and driving in the state. “We’re talking about an activity that is equivalent to drinking four beers very quickly,” said Representative Doug Holder. 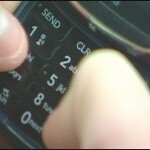 The texting ban, if signed into law, will take affect October1st. went to the governors desk Tuesday, but even before he signs it, police have begun focusing more on distracted driving. “It has deadly consequences; we have crashes everyday that are from distracted driving,” said FHP Captain Nancy Rasmussen. In the most recent Florida statistics, more than 2,200 people died in car crashes; officers are doing everything they can to curve those numbers. During the summer more officers will be patrolling the roadways to keep an eye out for distracted drivers. “Our numbers increase during this period of time just because we know the motorists are increasing, the more people we have patrolling the roads the better we’ll be,” said Capt. Rasmussen. If the law passes, drivers caught texting face a thirty dollar fine. The county with the highest number of fatal accidents was in Miami-Dade County, followed by Hillsborough County.